Home Society PR This Week The New Season of Jaguar Experience Bahrain Kicks-off at BIC! The New Season of Jaguar Experience Bahrain Kicks-off at BIC! 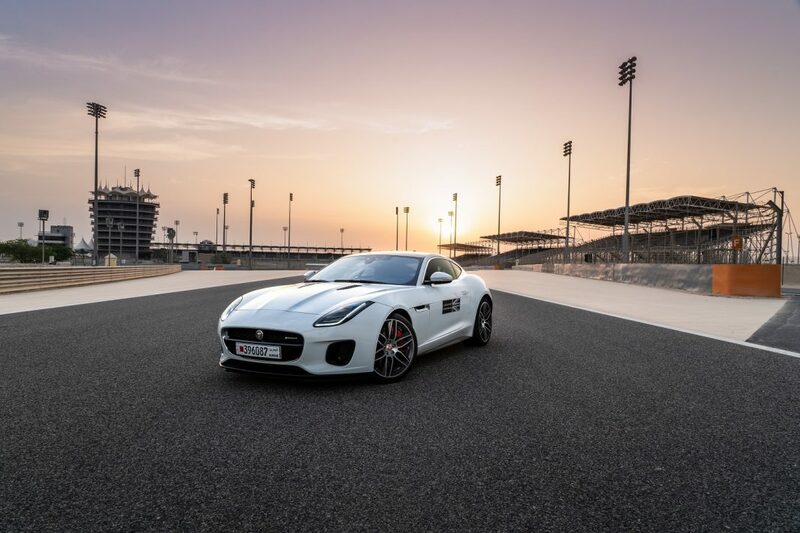 Euro Motors Jaguar Land Rover announces the start of the new Jaguar Experience season at the Bahrain International Circuit, Sakhir. The Jaguar Experience runs in tandem with the BIC Open Track, Night Open Track and Track Experience days. The highly anticipated season of the Jaguar Experience is currently ongoing and will continue on selected days up until 10th May 2019, hence providing customers with ample time to make their bookings based on their convenience. The experience is delivered through unique and tailored drives in Jaguar’s most popular and powerful models, the Jaguar F-TYPE Convertible V6 and F-TYPE Coupé V6. Being the first Jaguar Experience to run alongside the Land Rover Experience in the Middle East, Jaguar Experience Bahrain enables Jaguar enthusiasts from all over the region to enjoy a fast-paced and exhilarating adventure at an incredible cost of just BHD 60. To begin the experience, visitors are welcomed into the Jaguar Lounge and introduced to the team of lead instructors. While enjoying the snacks and beverages provided at the lounge, visitors have the chance to learn about the heritage of the Jaguar brand and how rich their motorsport history has directly influenced the vehicle they are going to drive, the Jaguar F-TYPE. After receiving a briefing on track safety and vehicle dynamics, the participants are taken out onto the track for hot-laps driven by the instructors, wherein the instructor would provide tips on car placement, visual cues, braking points, the racing line and much more. This is followed by an adrenaline pumping drive around the circuit with the participant behind the wheel and the instructor on the passenger seat providing real-time feedback. The final part of the experience sees the instructor take the driving seat once again taking the participant on a truly memorable hot-lap around the challenging circuit, showing the F-TYPE’s full capability, power and agility. Upon completion of the entire experience, guests will be taken back to the lounge where they will be presented with a Certificate of Completion from Jaguar Experience Bahrain. To book your Drive, call the Bahrain International Circuit on +973 17450 000. To know more, call the Euro Motors Jaguar Land Rover showroom on 17460460 or follow the latest posts about Jaguar on Facebook at Euro Motors – Jaguar Bahrain or on Instagram at @emjaguarbahrain. Additionally, to get further information, follow up to date Jaguar tweets on Twitter at emjaguarBahrain.